Invest Cleverly: When you plan to buy winter coats for women, always remember that the deal is not for just one season. 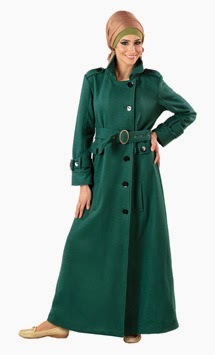 The same coat can be used for several years as these coats are not available at cheap prices. Since you will be putting in a good amount of money, make sure you choose a coat or a jacket that is durable and of good quality. By doing use, you can make the best use of your coat or jacket. Check the Fabric: The material or fabric of the coat or jacket that you plan to buy is the first thing that should be checked. Materials like good quality wool, cashmere, blend of alpaca wool etc. can keep you warm. It is good to look stylish but at the same time make sure that you cover yourself well and keep yourself warm. Check the Finishing: A jacket or a coat might be of superior quality and might be of an attractive color and design, but if it has an untidy finishing, it loses its beauty. Check for loose buttons, uncut threads, broken zips, unfinished seams and linings before you buy a coat or a jacket. Keep Your Budget in Mind: Coats and jackets of various qualities are available in the market. The price of each piece ranges depending on the material used, the amount of work done on it, quality of accessories used in it and so on. You can choose a jacket or a coat that is low priced or can either opt for a high priced piece. Make sure that you set your budget prior shopping and make a purchase within the set budget. Choose an Evergreen Design: One should act wise while buying a coat or a jacket. Since jackets and coats are used only in one season, stored and then again used in the next season, it is a wise option to choose an evergreen design. By doing this you will never be out of fashion and you will look stylish no matter whenever you wear your jacket or coat.